Four of the youth promoters who took part in GET IN last year will take part in the Graduate Year of the project this year, receiving support to programme more exciting events in their local communities. Thanks to funding from The Gannochy Trust and The Robertson Trust, we are able to continue supporting Cat (Inverness), Chloe (Balintore), Kerry (Islay), and Peter (Findhorn) to become confident promoters. 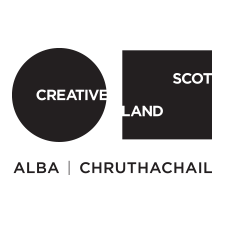 They will each have the opportunity to Go See even more performances and events across Scotland this year – to be inspired by outstanding performances, see things they might want to programme, and network with performers – before selecting a number of professional live performances to programme in their local venues. Based on the Supported Programme model, the GET IN Graduates will apply to The Touring Network for support to programme work that appeals to their peers, in a bid to increase the number of young people attending events across the Network. They might choose to programme shows that are already in the current Supported Programme Collection, or they might discover a different act and request for it to be included in the Collection, encouraging other promoters in the Network to get involved with the tour. By the end of the year, the GET IN Graduates should be well integrated with the rest of the Network – perhaps inspiring existing promoters to programme outside their comfort zone! Why not connect with Cat, Chloe, Kerry and Peter on Tourbook when it relaunches later this month, to find out what programming ideas they have? Part of their commitment as GET IN Graduates will be to act as Buddies, providing peer support to the new intake of GET IN Youth Promoters. Kerry, Cat and Peter joined us at Cromarty in June for the Getting Started as a Promoter GET IN residential, where they met the 2017-18 Youth Promoters. Despite her best efforts to join us by public transport on the Friday, Chloe was sadly stranded on the wrong side of the Cromarty Firth thanks to some high winds that resulted in the Nigg Ferry being cancelled.